For over two decades, Kolter Homes has been committed to building exceptional residences and “Creating Better Communities” for our residents throughout the southeastern United States. Kolter’s home building team strives to deliver the most exceptional value for our residents and surrounding community, and we work to make every aspect of your new home build as smooth and organized as possible. Adding a personal touch to your new home includes a visit to one of our new home design galleries where the options are nearly endless when it comes to customizing your home including opportunities to integrate healthy, green home-building practices into your design. 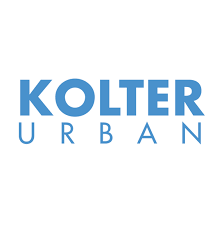 Kolter Urban is our urban infill and suburban high-density residential affiliate. To date Kolter Urban has completed projects comprising in excess of 3,200 residences. Current investments throughout Florida include projects totaling 1375 condominiums and townhomes, including the Waterclub and Boca Moderne located in Palm Beach County.